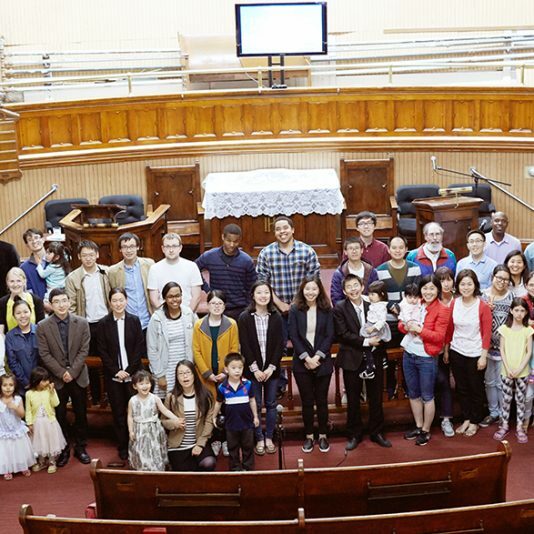 Immanuel Community Church represents the multi-ethnic and professional groups of believers of Jesus Christ residing in various communities along the Northeastern coast of the US. A member of the Olivet Assembly of USA, under the spiritual and mission guidance of the World Olivet Assembly (WOA), Immanuel Church was planted by the alumni of Olivet Theological College and Seminary (OTCS). In 2002, a group of seminary students gathered for Bible studies and prayer time with a desire to know Jesus and figure out their life directions in the midst of a fast-paced, secular city. That small group of 10-15 students soon expanded and eventually involved more pastors and mentors. Ultimately, the young Immanuel church settled in the Upper West Side of New York City. Diverse language groups from Latin America, Europe, and Asia formed the pastoral leadership. Rev. Paul DeVries and several ethnic pastors are currently ministering the church in the new location. As the church increased in the number of congregants, active church planting projects were initiated in order to reach the local people more effectively and penetrate the city powerfully. Currently, Immanuel holds various church programs in several locations in Manhattan, The Bronx, Brooklyn, Queens, and Jersey City. The Great Commission of preaching the Word to the ends of the earth also inspired the church planting project in reaching many more cities in nearby states including New Haven, Providence, Philadelphia, Boston, Manchester, Burlington, and Portland. Young and vibrant professionals in the city can bring a powerful impact in spreading the gospel even beyond the city of New York. Our hope is to reach out to many souls with the power of the Word of God and share in the joy of salvation that comes from knowing Jesus Christ.